...the swimsuit competition, at least. (SPOT.ph) Boracay's six-month closure is set to start on April 26 for rehabilitation efforts, and it seems that the government already has plans for when it opens again. In a report by GMA news, Department of Tourism Secretary Wanda Teo says that President Duterte has brought up having Miss Universe 2019 held in Boracay in order to promote tourism on the island. She recalls that when the topic of promoting Boracay was brought up in a cabinet meeting, Duterte said, "'O sige, kung gusto ninyo ilagay natin ang Miss Universe doon [sa Boracay]. 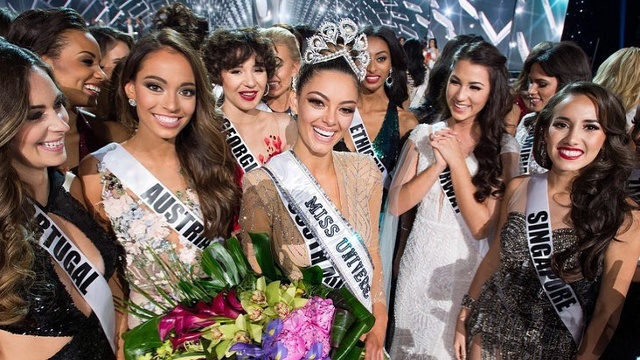 Papuntahin natin ang Miss Universe para pag nag-open 'yan, lahat magsipuntahan.'" Teo also reveals that the Department of Tourism (DoT) is in talks with the Miss Universe Organization on having the Philippines once again host the annual pageant, with the swimsuit competition to be held in Boracay. "Hindi pa sigurado, but I'm working on Miss Universe. I want the Miss Universe to be here." But she also clarifies that if the country won't be hosting this year, then they'll work on hosting the pageant in 2019. The Miss Universe Organization (MUO) is reportedly also considering having the pageant in China. The beauty pageant was last held in the Philippines in 2016, when France's Iris Mittenaere succeeded Pia Wurtzbach. The candidates toured around the country during their 16-day stay and visited Boracay, Vigan, Cebu, Siargao, Baguio, and Manila. Teo also brought up that MUO wanted the Philippines to host again in 2017 but the government declined the offer as the country was also hosting the Association of Southeast Asian Nations Summit that year.